Running from one side of Australia to the other is a feat most of us would never even dream of attempting, but Dane Waites has done just that. Mr Waites is an elite athlete who was born with autism spectrum disorder, and developed a passion for running as young child. As is the case with many people living with autism, Mr Waites has also battled with depression throughout his life. 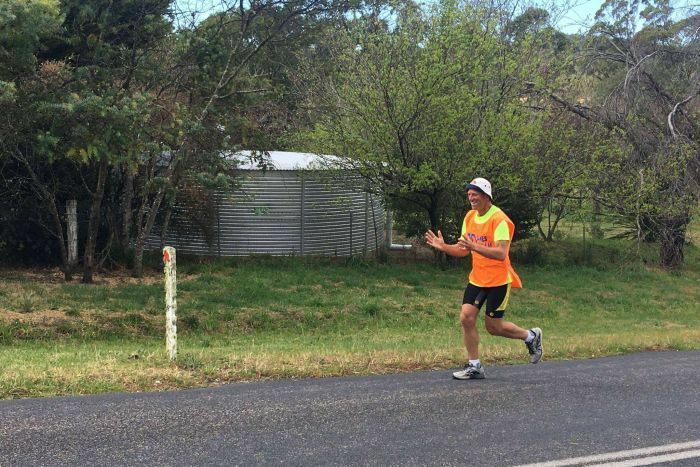 Setting off from Perth in WA back in June, Mr Waites has run across four states, completing the equivalent of a marathon per day, six days a week, until he reached his home town of Pambula on the New South Wales far south coast. It is a feat he has spent the last 14 years training for — what is now known as "Dane's Dream" began shortly after winning bronze in the 2003 Special Olympics. More than one hundred supporters greeted Mr Waites and his mother Junee Waites on his return, before witnessing tens of thousands of dollars in donations being handed over to charities supporting autism and mental health. But first on Mr Waites' list of thanks was his mum. "I'd just like to say thank you mum for your support. You have done everything to get me there, from Perth to Pambula," he said. "Thank you for everyone for being here and thank you for supporting me. Thank you for sharing my dream." 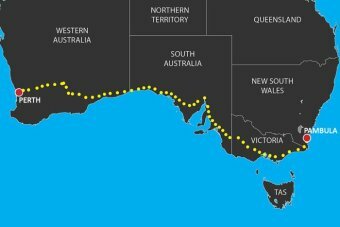 "My favourite part of the whole of the journey across of Australia was the Nullarbor highway." "It was a 90-mile long highway and it had straight lines, and I never stopped running, I just kept going." 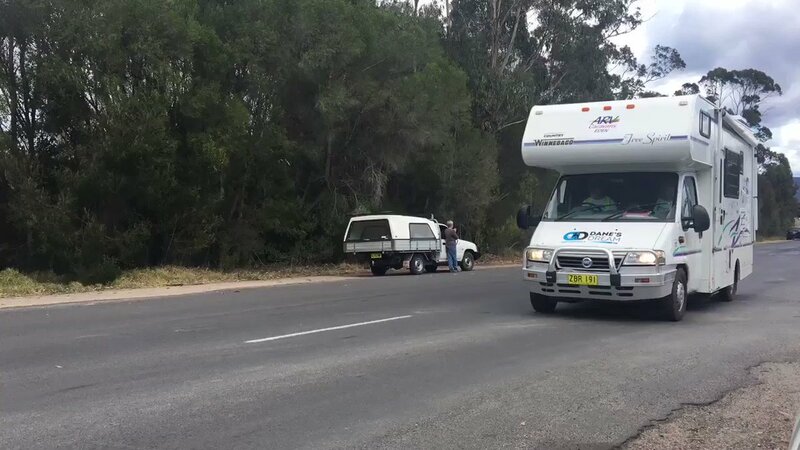 Ms Waites said there were many highlights along the way, including the friendly toots from countless truck drivers, who recognised Dane's unique running style. "After a little while they referred to him as Forrest [Gump], but he became their Forrest," she said. Mr Waites' support team say he hasn't been deterred by the long distances, and now he's finished his run across Australia he will continue to run six days per week - taking Fridays off to go dancing. Aside from his success with running, Dane has also competed and won medals in powerlifting and tenpin bowling. Ms Waites said Dane had inspired everyone he met along the way — proving it is possible to live a normal life and achieve amazing things while living with autism and depression. "We met so many people that would come up and say 'we have a member of our family who's on the autism spectrum, or who has a mental health condition,''' she said. "To begin with, we were saying one-in-three people — by the end of the journey, it was a one-in-one, or one-in-two. "Dane met the most amazing people [on his run]." And what's next for Dane? It looks like he is not slowing down. His support team says he will be settling back in to life at home, which includes return to running along the south east's picturesque beaches. Media player: "Space" to play, "M" to mute, "left" and "right" to seek.